UFC Fight Night 139 goes down Saturday, Nov. 10, in Denver, and this fight card is loaded with next-generation talent. On the surface, a UFC Fight Night event never stacks up to a pay-per-view show or to a marquee Fox card, but to the prospect-focused viewer, the cast assembled for Denver just might represent the highlight of the year. "Violent Bob Ross" is an animal. 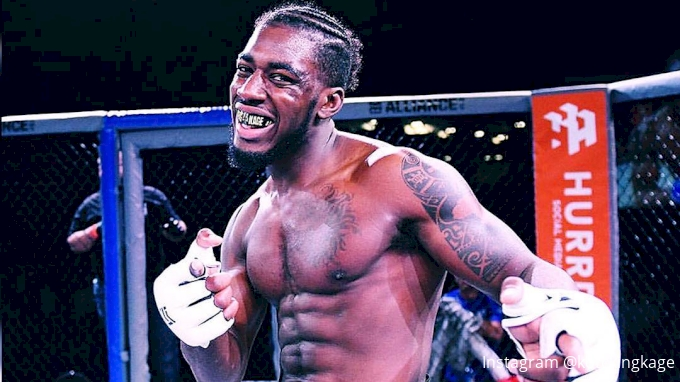 Fans across the globe became acquainted with his artistic style of violence on The Ultimate Fighter: Undefeated, and FloCombat viewers remember him from wiping out red-hot prospects in Damir Ferhatbegovic and Kobe Wall in back-to-back bouts under the Valor Fights banner. Following a victory over Richie Smullen at the TUF 27 Finale, Peña officially earned his spot on the UFC roster, and he'll face the TUF 27 lightweight winner Mike Trizano Saturday in the Mile High City. Trizano, himself a prospect to keep an eye on, looks to spoil all the momentum and hype Peña's built since his time on the show, making this a can't-miss affair Saturday evening. Between Peña, Smith, and Maycee Barber (more on her in a second), the UFC truly went all in on future star potential with this UFC Fight Night 139 card. At 8-1 with eight finishes, Smith's style is electric, and he is the perfect representation of the new, young breed of fighter both on social media and on the mic—think JuJu Smith-Schuster if he chose the cage over the gridiron. Smith boasts charisma for days, and if he can show out Saturday, buckle up. Most recently, Smith annihilated fellow undefeated top prospect Joe Lowry on Dana White's Contender Series, punching his ticket to the big show and setting up his Denver showdown vs. Julian Erosa. To summarize Smith in a short clip... Y'all wanna see a dead body? 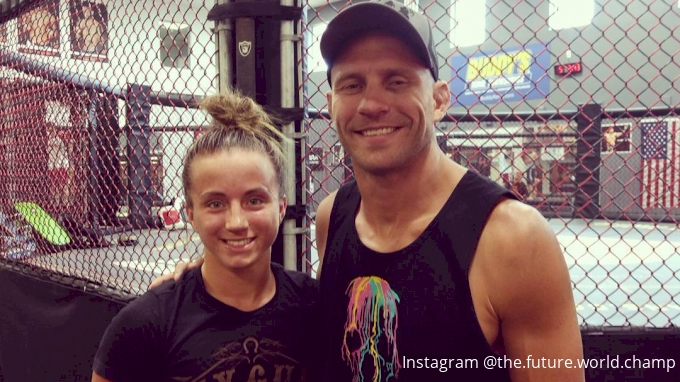 There is perhaps no female fighter on the planet with more hype among coaches, promoters, and those in the know than Maycee Barber. 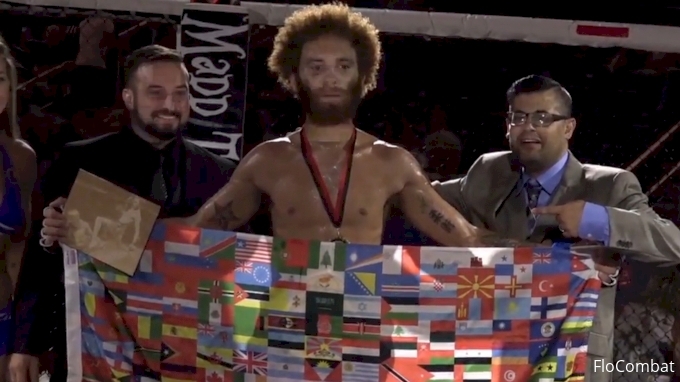 Just 20 years old, Barber went 4-0 under the LFA banner before TKO'ing Jamie Colleen on Dana White's Contender Series. She's long declared her intention to become the youngest UFC champion ever (a record currently held by Jon Jones at 23 years, 242 days) and competing in a relatively thin strawweight division, she might be able to do it. Starting Saturday, she'll begin that run vs. 8-2, 26-year-old Hannah Cifers, who looks to put Barber's lofty goals at bay for the time being. At 28 years old, Moffett is slightly older than the rest of the list, but there's no doubt his journey is just beginning. Moffett proved himself to UFC President Dana White twice before finally getting the contract, first competing on V3Fights 69: Dana White Lookin' for a Fight right here on FloCombat, then winning again on the Contender Series. 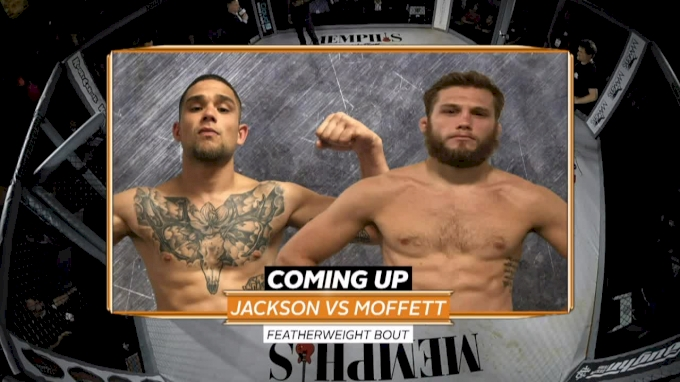 Finishing both fights via D'Arce choke, Moffett showed his time at the MMA Lab is paying off, and he looks to keep that momentum rolling Saturday when he faces longtime vet Chas Skelly inside the Pepsi Center. We can't forget the wild man from Ohio. At 32 years old, John Gunther is not really a prospect at this point. He is, however, undefeated as a professional (technically—he lost on TUF 27, but he won on the Finale, when the bout was official) and he has a reputation for killing prospects, so we gotta include him. You know how we said Devonte Smith is 8-1? That "one" is courtesy of Gunther. Ditto for Nick Browne, an 8-1 lightweight out of Pennsylvania. Browne's lost just once in his impressive pro career, and it's all thanks (or no thanks) to Gunther's pressure-heavy, grind-you-out style. Facing submission ace Davi Ramos, it seems Gunther's set up to fail at UFC Denver, but you can never count him out. He's defied the odds again and again throughout his career—just like when he rose from the dead for the comeback win over Smith at RFO: Big Guns 22. During an early onslaught from Smith, the announcer literally says, "Call this fight over. This fight is done. I'm sorry, but it is done. If Gunther recovers, he's the toughest man in America." I guess Gunther is the toughest man in America, and how can you bet against that? Bonus shoutout to Mark De La Rosa (24), who will face Joby Sanchez (27) in a flyweight bout and to Thiago Moises (23) who faces Beneil Dariush in lightweight action.